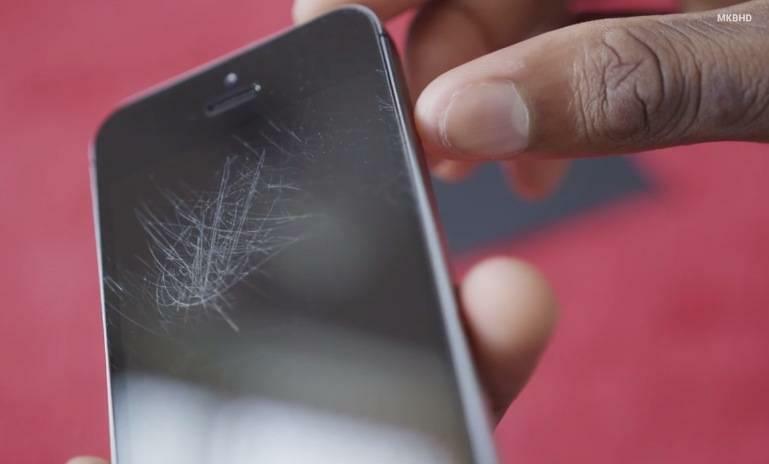 You know that 4.7-inch iPhone 6 front panel we thought was nearly indestructible? 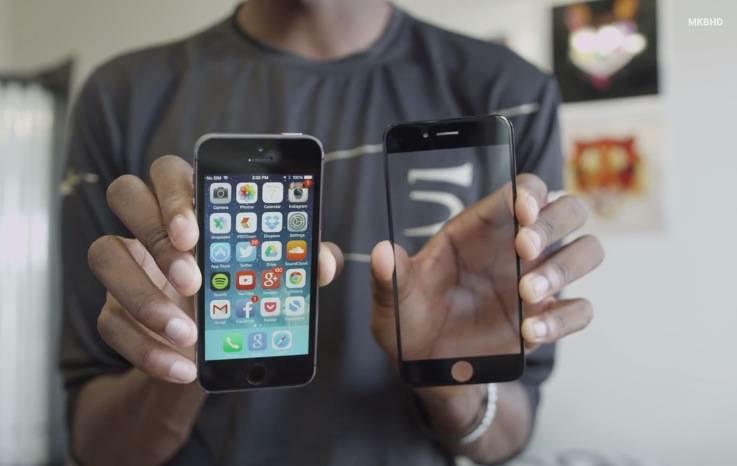 Turns out the invincible material has a kryptonite, as a new video from MKBHD shows. In the new video, YouTuber Marques Brownlee does more in-depth testing on the front panel featured in his previous video. Only, this time, he starts using science to damage the display. Turns out, there’s something called the Mohs scale, as many people have pointed out. 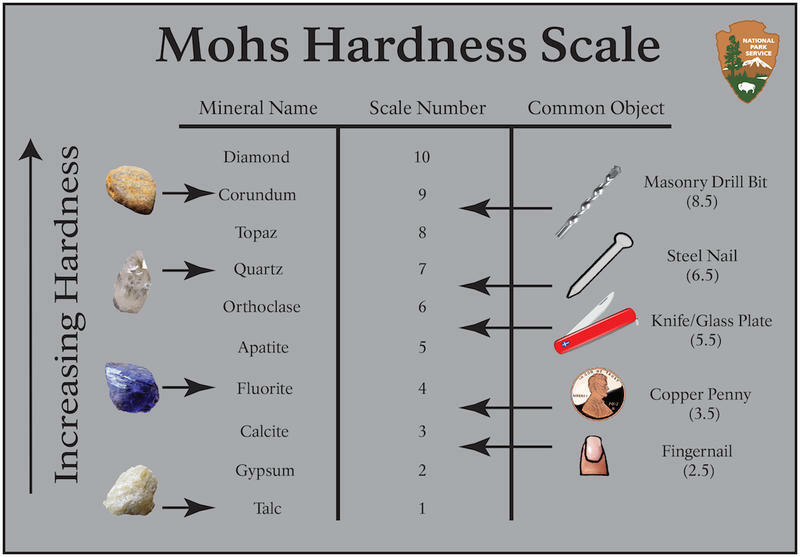 Basically, the Mohs scale, as defined by good old Dictionary, is a scale of hardness used in classifying minerals, and runs from 1 to 10 using a series of reference minerals; the position on the scale depends on the ability to scratch materials rated lower. Still following? A mineral is capable of scratching anything below it, but anything above it won’t make a dent. 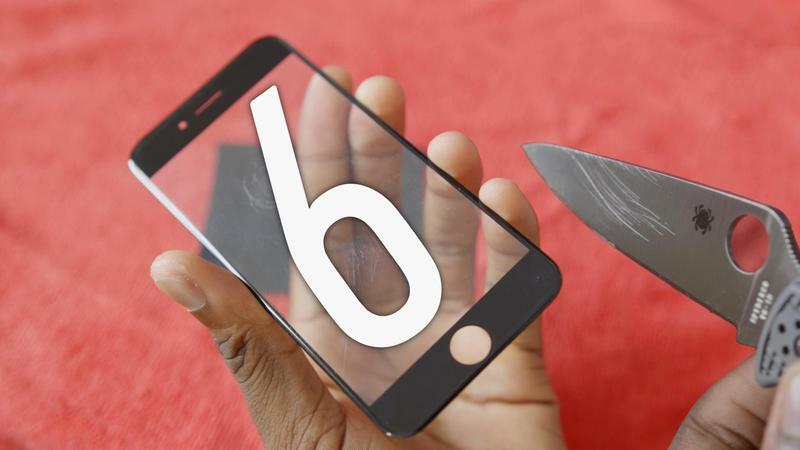 The steel knife blade used in the previous video is rated at 5.5; Gorilla Glass, meanwhile, is at a 6.8, while sapphire is at a 9.0. 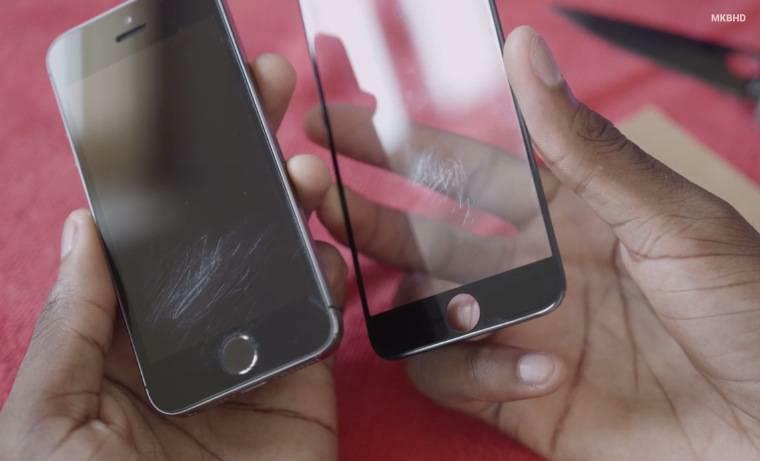 That means stuff like knives and keys are relatively soft compared to sapphire, and even the material Corning uses for Gorilla Glass. It makes sense, then, that the front panel was left unscathed. To really put the supposed sapphire display to the test, MKBHD uses to different types of sandpaper: the first being Garnet, which is about a 7 on the Mohs scale, and Emery, which falls in around 8. 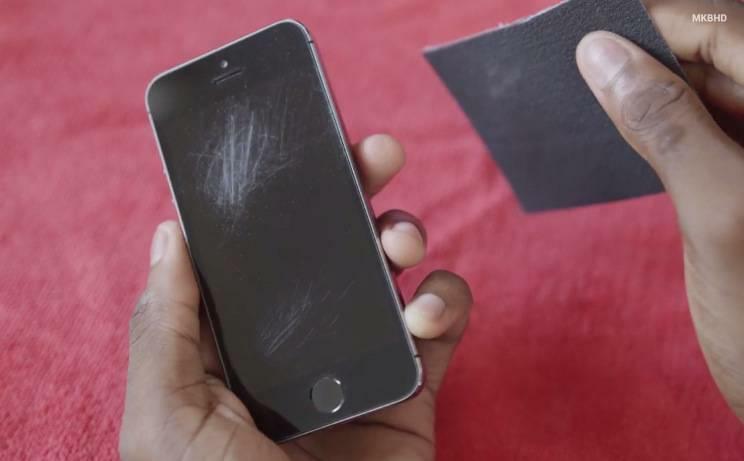 As the video clearly shows, a device like the iPhone 5s, which is rocking Gorilla Glass, is no match for either of the sandpapers. And that alleged sapphire display? It’s more resilient to testing, but it still gets some major scratching, which is hugely disappointing. 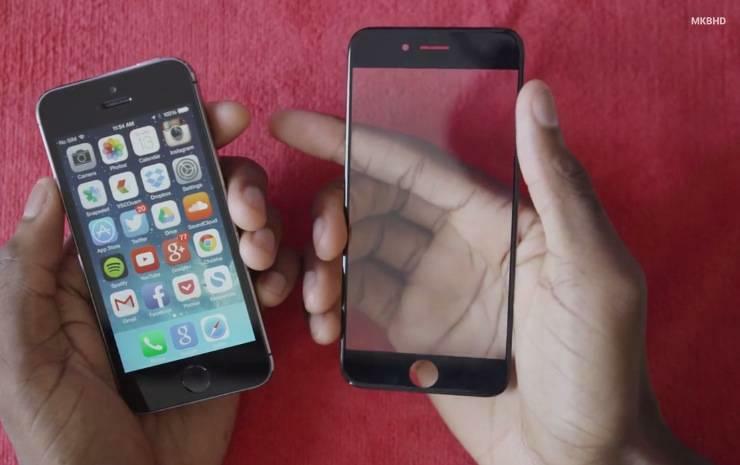 It either means a) the 4.7-inch iPhone 6 display won’t quite be using pure sapphire as previously thought, with Apple instead possibly using a purer form of the material for its larger 5.5-inch iPhone; or b) Apple is using some mix between glass and sapphire to achieve a material superior to Gorilla Glass, but one that’s not quite indestructible. 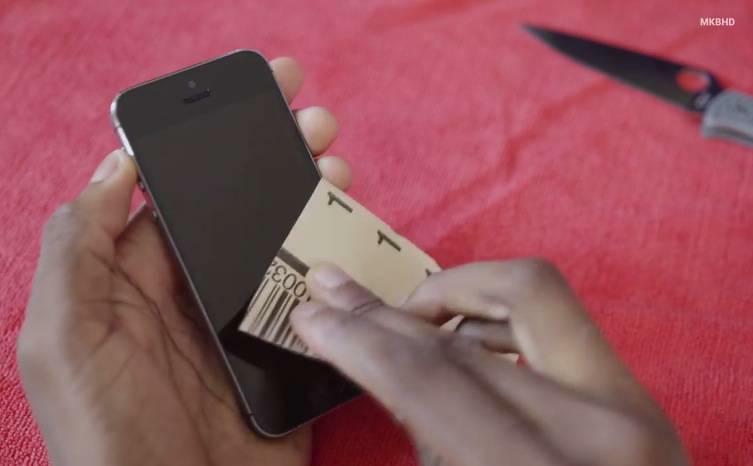 The panel still holds up pretty well all things considered; the iPhone 5s pure sapphire home Touch ID home button, meanwhile, doesn’t have a single blemish after MKBHD tries to scratch it with the two sandpapers. 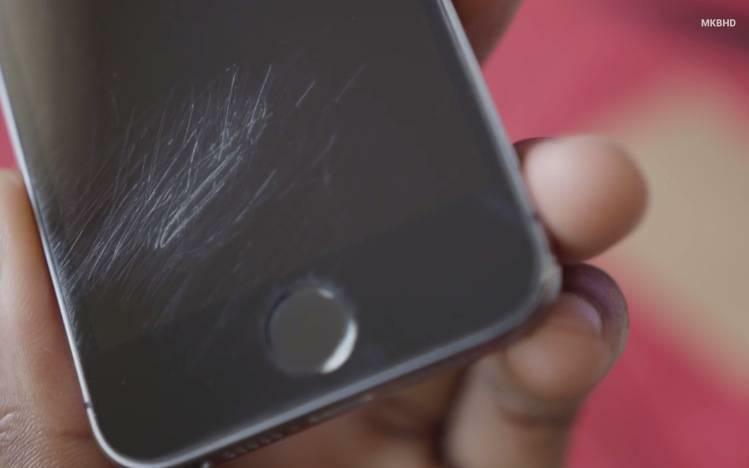 That means, yes, your iPhone 6 will probably be susceptible to scratching, but only in exceptional circumstances. 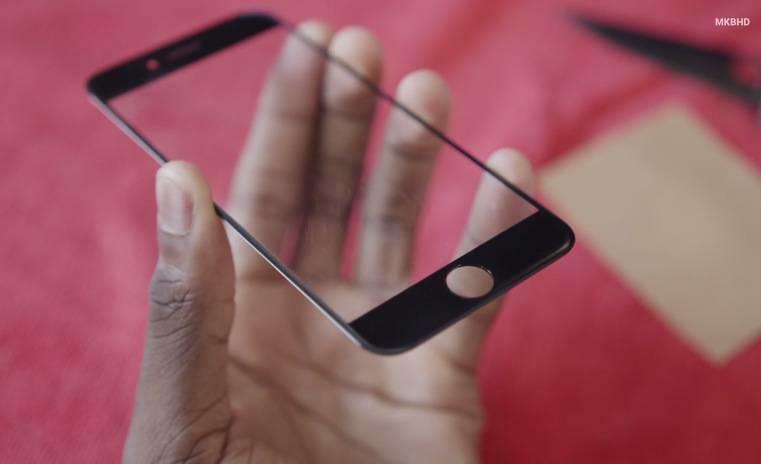 However, it still probably won’t require a screen protector, which should excite a lot of folks. Apple will likely go much more in-depth on the topic later this fall, likely in September, which is when we’re expecting the company’s next flagship to hit.